The African Centre for Biodiversity (ACB) welcomes the decision of the South African biosafety authorities, rejecting Monsanto’s application for the commercial release of its GM drought tolerant triple stacked maize: MON 87460 x MON 89034 x NK 603. At its meeting on the 2nd October 2018, the Executive Council: GMO Act, refused to authorize the GM maize for commercial growing as it found that the data provided by Monsanto was insufficient to demonstrate the claimed drought tolerant and insect resistant efficacy of the GM event. In particular, the EC found that the drought tolerant field trial data presented by Monsanto for trials conducted over a period of 5 years (2014-2018) in Hopetown, Orania, Lutzville and Malelane, were sorely wanting. The EC found that the drought data provided by Monsanto, specifically the kernel count per row and the kernel count per ear data showed no statistical significant difference between the GM event and conventional maize. It further found that the yield benefits associated with the GM event were inconsistent and in some trials, the GM maize had lower yields than that of conventional maize. Finally, it found that the insect resistant data presented by Monsanto was insufficient as it was collected only from one trial site and then too, only for a limited number of growing seasons. The ACB and more than 25 000 people from South Africa, the rest of the continent and around the world signed a petition, rejecting Monsanto’s application on the grounds that the application was not backed by peer-reviewed scientific data and evidence supporting Monsanto’s claim that MON87460 will confer drought tolerance; flawed experimental design to assess the efficacy of the trait; and that potential socio-economic risks posed by MON87460 to smallholder and resource poor farmers had not been considered. MON 87460 stems from a Monsanto/Gates Foundation project, WEMA project. The project is being implemented in South Africa, Kenya, Uganda, Tanzania and Mozambique, and purports to offer the GM drought tolerant maize to smallholder farmers in Africa as a ‘Climate Smart’ solution to abiotic stresses such as drought. Wild unscientific and unsubstantiated claims have also been made by various scientists associated with the project that Bt maize varieties under the project is a solution to combat the fall army worm (FAW). 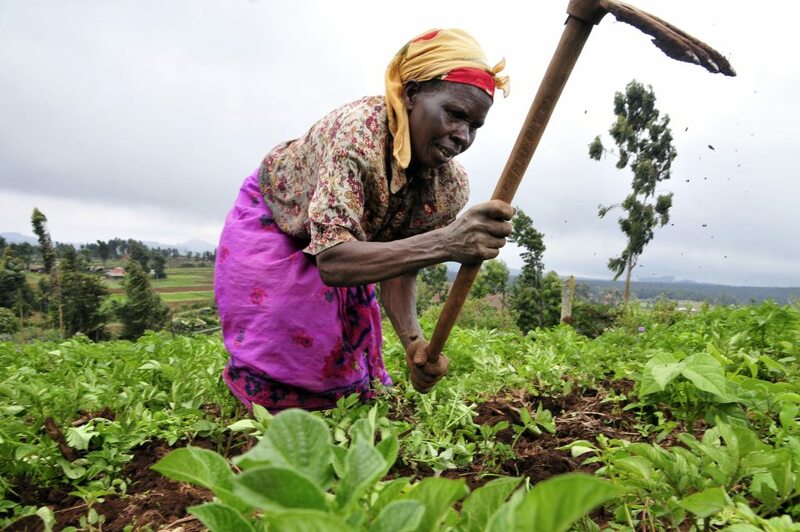 “The ACB calls on all African governments to implement holistic strategies, which are already showing efficacy in the field, to support small-holder farmers. These include various agroecological strategies such as the intercropping, the ‘push-pull’ system and integrated pest management strategies. These are being implemented in both the Americas and Africa and provide sustainable solutions to the FAW and will not further indebt farmers, compromise their health or that of their surrounding environment,” said Sabrina Masinjila, research and outreach officer with the ACB, based in Tanzania.